Frank Volk is responsible for overseeing RKF’s Las Vegas operations. With more than 15 years experience in the retail market in and around Las Vegas, Frank is recognized as the pre-eminent authority on retail and land in the tourist corridors of Las Vegas. He possesses a unique skill set required to properly plan, merchandise and lease retail projects attached to hotels and casinos. 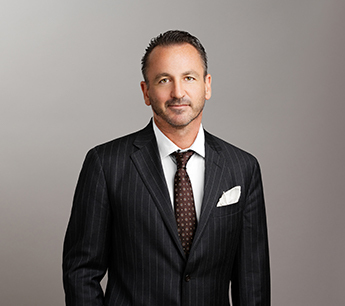 In addition to overseeing the firm’s Las Vegas leasing assignments, Frank has been involved in the marketing and leasing of 1.8 million SF of retail and restaurant space at Town Square, a mixed-use project at the southern end of the Las Vegas Strip; as well as 50,000 SF of retail space at Sky Las Vegas, a 44-story luxury residential building. Mr. Volk currently serves as a retail consultant for three hotel/casino projects in Las Vegas. During his career, Frank has completed in excess of $1 billion in lease transactions in the Las Vegas Strip market, creating over $1.5 billion in equity on behalf of the various projects’ owners. Frank’s retail client list includes The Harley Davidson Cafe, Ice Metaclub, CVS/pharmacy, Fleming’s Prime Steakhouse, Groupe Alain Ducasse, Kitson, G-Star, Cassis and Pacha. Prior to joining RKF, Frank worked at Blatteis Realty, where he completed transactions totaling in excess of $350 million. Frank is a licensed Real Estate Broker in the state of Nevada and a member of the International Council of Shopping Centers.